Spring flowers are in bloom ar the Betty Ford Alpine Garden. 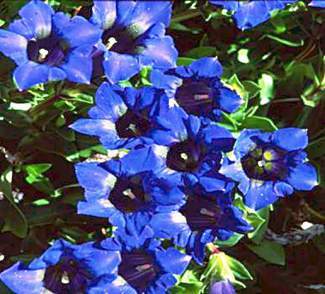 The colors of the spring gentian, ice plants and alpine plants are so vivid and incredibly beautiful. Betty Ford Alpine Gardens is open â take the in town shuttle to Golden Peak and walk through Manor Vail.